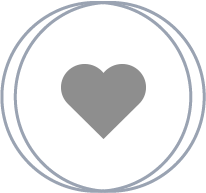 To many newly engaged brides, finding the perfect wedding dress can be the most exciting or the most dreadful activity of the wedding planning process. For many, just choosing a silhouette can be overwhelming. All of a sudden words you never knew existed become apart of your vocabulary-"A-line,"Ballroom," "Trumpet." However difficult or easy the wedding dress selection process is for you, most agree there's nothing more beautiful than a bride in her wedding dress. So for those brides out there still looking for inspiration, we've gathered seven of the most stunning wedding dresses featured on 7 Centerpieces. Taking a look through these images just may give you an idea of how you want to look on your special day! 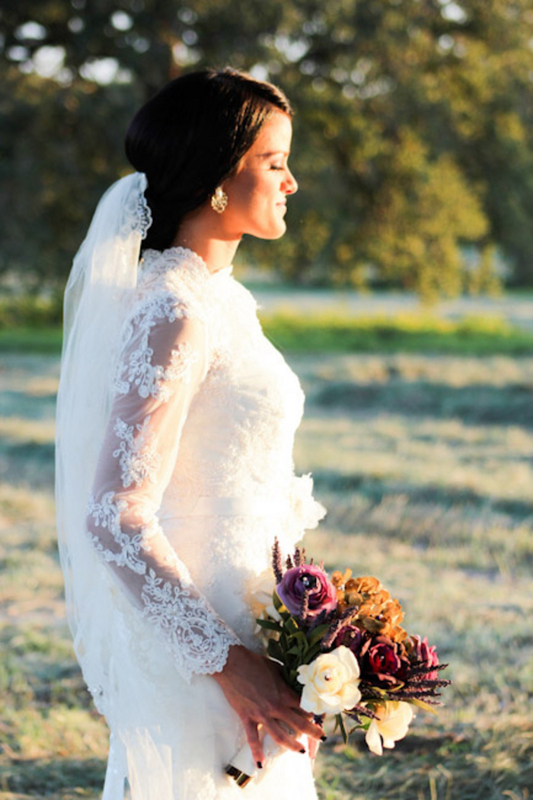 This bride's lace sleeves are everything! And just think she made them herself! Take note brides-sometimes you have to create the look you are trying to achieve. 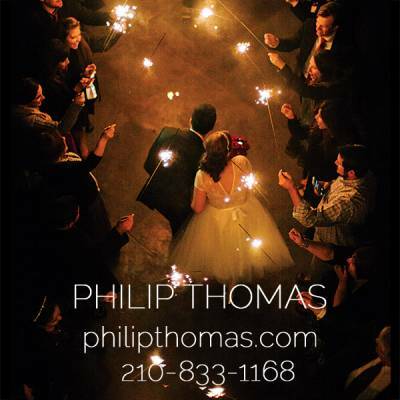 You can see more of this lovely wedding here. 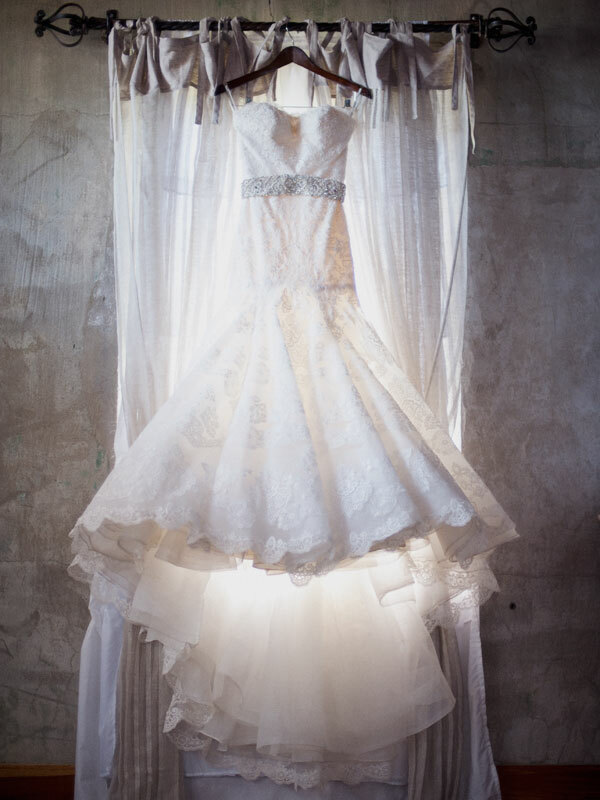 This bride's dramatic veil and train provide showstopping elements to this gown. While this gown is beautiful on its own, it's the accessories that take it over the top. 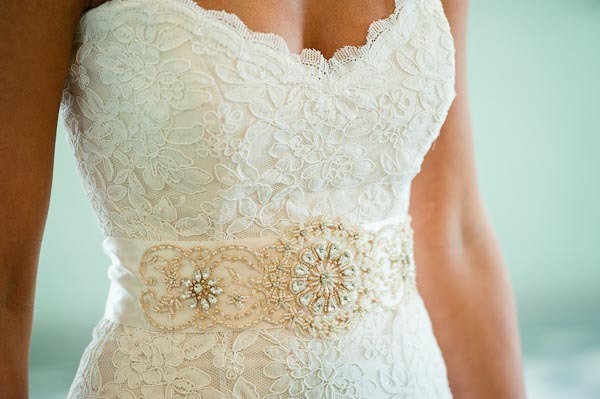 Check out the rest of the wedding to see the front details of the gown. Talk about breathtaking! The lace combined with the cap sleeves and the chic up-do just screams sophisticated elegance. There are even more stunning images in the bridal session from Sarah Ainsworth. Sometimes a dress is so stunning it can stand on its own. This Enzoani wedding dress doesn't even need the bride in it to be amazing! More of this gorgeous dress and its bride can be seen here. Never underestimate the power of a sash! A beautiful sash can turn ordinary into extraordinary. This Romona Keveza dress was already stunning, but this sash just elevated it to the next level. Oh, and the entire wedding is stunning as well. Oh.em.gee! Look at the back on this dress! Another thing to note brides, if you've got an amazing body part, don't be afraid to highlight it. This yoga instructor bride did just that in her casual chic wedding. 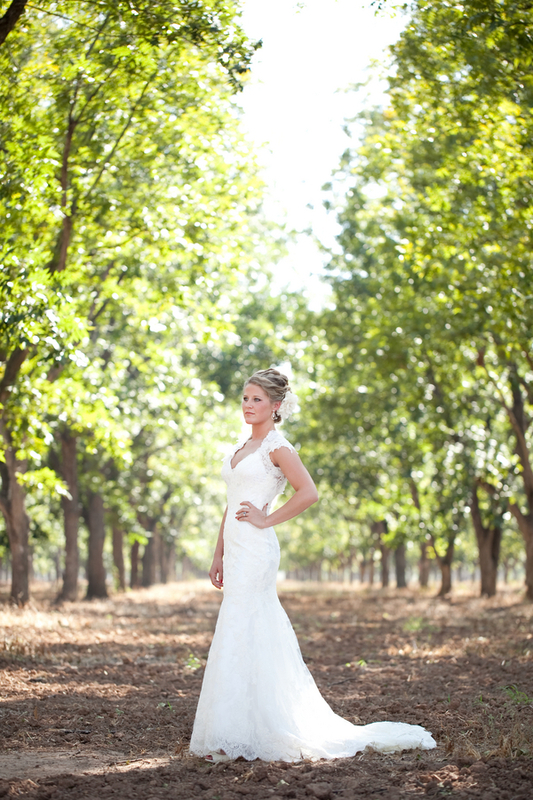 What can I say about this bride's sheath dress-glorious! 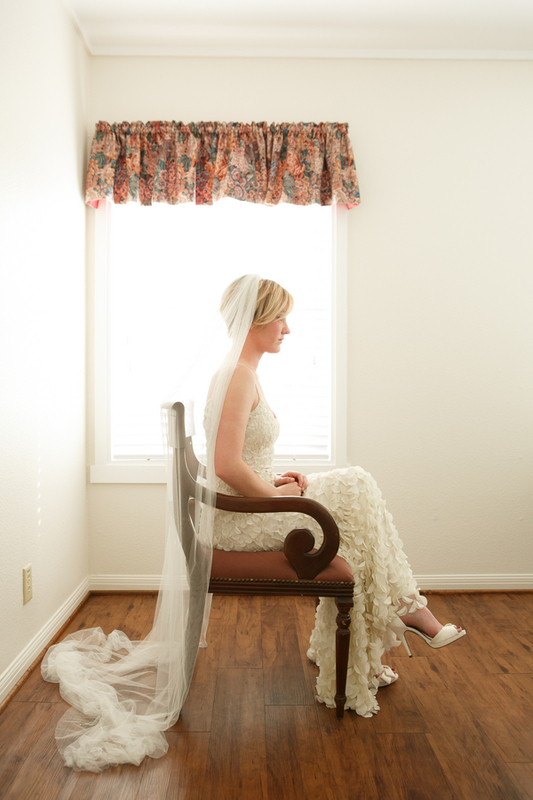 Many brides feel like they can't make a statement if their dress doesn't have ruffles or rhinestones galore. But this bride proved that any style of dress can be jaw-dropping. 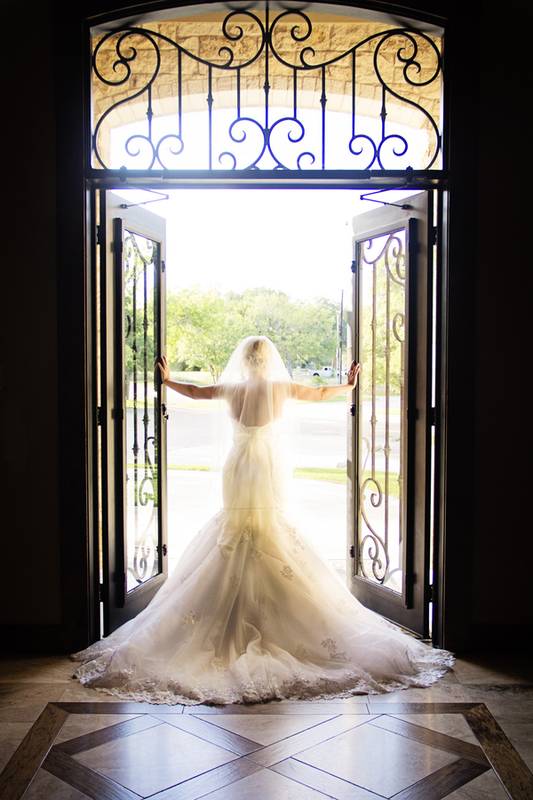 Check out more of this bride's stunning dress here.